That means you and your team can subscribe to either Get Selling or Get Managing for less than $2 per day! Or better yet, Bundle both training programs for less than $4 per day! What Is Graff Retail TV? 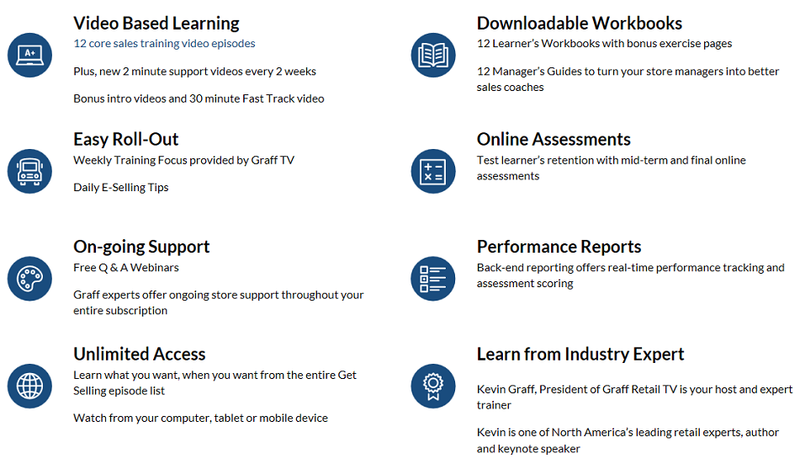 As the industry leader in online retail training solutions, Graff Retail and Graff Retail TV have been helping retailers drive in-store performance for over 20 years. Now with the push towards e-learning, we have taken all of our selling and management programs and built the most effective, efficient and affordable retail e-learning programs available in the industry. Unlimited attendance for your team, regardless of the number of employees you have. Subscriptions are based on a per store basis. Online videos that can be watched once, twice, three times…there’s no cap on learning! 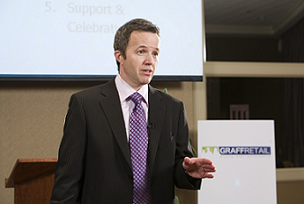 Graff Retail TV’s Get Managing! 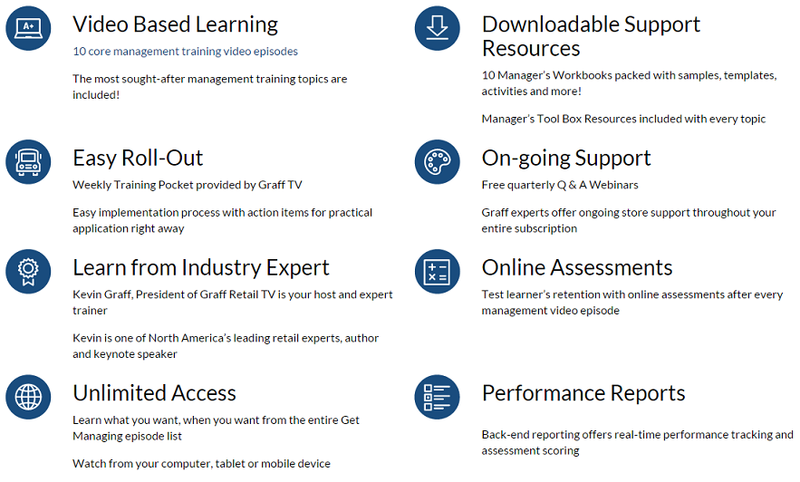 series is a complete, turn-key store manager training system for retailers of any size. Get Managing! has both online and offline components to help make the training sustainable over the long term. Get Managing! increases store manager performance by equipping managers with the necessary skills to drive revenue through their teams. Download a complete list of topics. Graff Retail TV’s Get Selling! 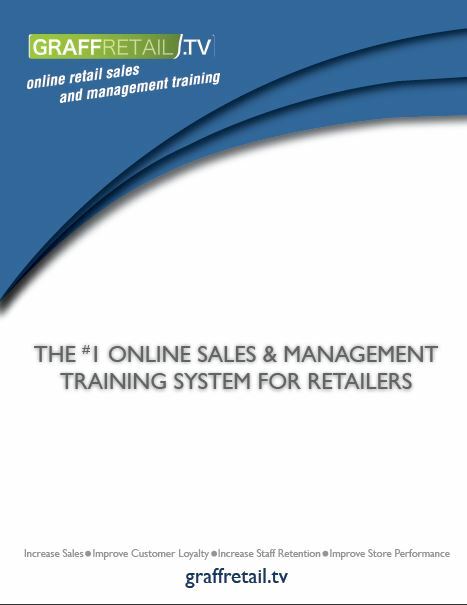 series has been designed to offer retailers of any size an effective, efficient and affordable approach to training for frontline sales teams. Get Selling! offers a system that not only teaches selling skills, but also provides resources for continual coaching and reinforcement. Get Selling! will increase sales by building a selling culture that every retailer dreams of having! Download a complete list of topics. You’ll also walk away with a soundly researched, complete workbook and step-by-step guidelines for using the information you’ve just learned. To sign up or find out more about our exclusive member rates, please contact RCC at info@retailcouncil.org or 1-888-373-8245.